Did you know that ARM processors becoming important for enterprise IT shops? After more than thirty years and more than 50 billion processors shipped, systems based on ARM processors are poised to take on enterprise datacenter workloads. 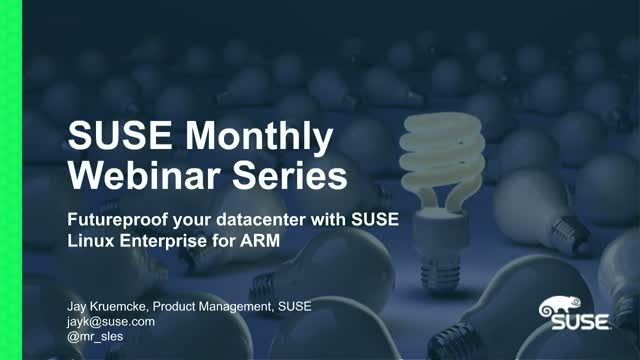 Register for this webinar to learn why ARM is becoming important for the datacenter and how SUSE has become the leader in providing commercially supported Linux for ARM-based systems.